UPCOMING CLASSES: Authentic Branding 10/11, Who Are You 10/18, Visioning Workshop 10/21 & Spring Cleaning for the Autumn Soul 10/30 + Don't forget to like my *NEW* FB Page, Instagram and more! Yes, it's been ten years doing this work, and I finally realized I need to have my own Kristina Leonardi Facebook Page, in addition to the PGG Facebook Page that's been up a while. Be sure to follow me there as well so you can be in the loop with selected PGGs, useful career advice articles, and event/class announcements along with inspirational words and images to fuel your personal and professional growth! 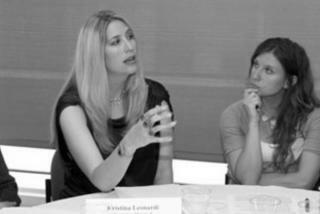 Did you know you can have Kristina speak at y0ur company or organization? ALSO: In addition to the survey question above, please feel free to email me directly with the topics you would like to see more classes on. See above for FALL Classes!